If you are considering painting the interior or exterior of your home, Noel Painting recommends that you consider a professional color consultation. A professional color consultant knows color theory, what colors work together, and what the trends are. A consultant knows the psychology of color, that is, the impact colors have on people. A consultant knows how combinations of colors work. For example, a consultant can show you how a color wheel works, and demonstrate color schemes like monochromatic (shades of one color), analogous (next to each other on the wheel), or complementary (across from each other on the wheel). Consultants can show you the differences between hue, tint, shade and tone, and how this can be used in your home. You might consider hiring a color consultant to visit your home. This way the consultant can recommend colors that work with the home’s available light, and colors that work with the home’s surroundings, both natural and neighborhood. This may result in increased curb appeal from the outside and increased livability on the inside and add value. A color consultant can show you how colors in the interior of a home relate to each other and flow from room to room. The psychology of color shows that some colors are easier to live with than others, and that some colors make a room seem larger or smaller. Some colors make people feel relaxed, so those are good colors for bedrooms. Exterior color combinations can have a big impact on curb appeal, and actually add considerable value to a home. Different demographics vary in the colors they most like, which can impact rentals or sales. 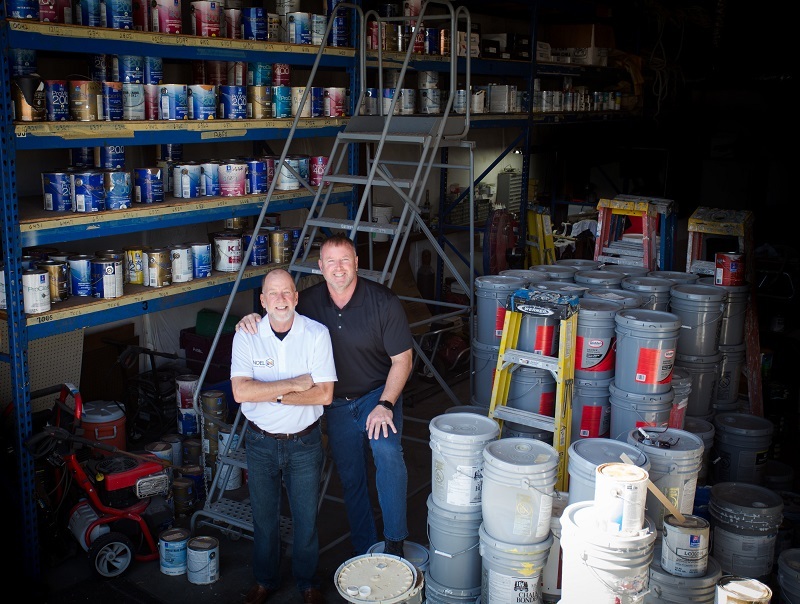 Contact the experts today from Noel Painting for more information on color consultations or for a Free Estimate on any of our painting services!